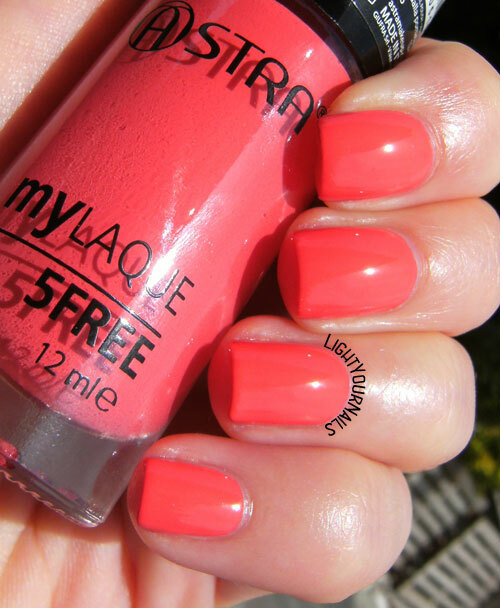 Astra MyLaque 19 Geranium Flower | Light Your Nails! I didn't know Golden Rose is 5 free! My GR bottles are so old I guess they weren't yet. That color is fantastic! It's so bright and juicy - reminds me of watermelon! 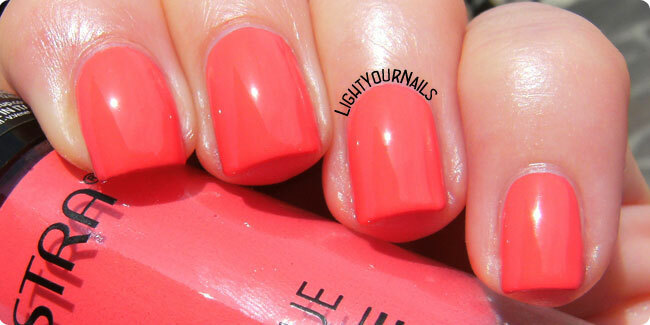 This is a beautiful shade of coral. And that price!!!! wow! I think it's rewarding for them to please us! Oh yesssssss this shade is right up my alley! Love it! the price is amazing for the shade. I cant believe that is no topper!